Combine losses vary throughout the day. If using the same combine settings all day long, losses in the morning and evening could be significant if the combine is set for easy-threshing afternoons. Or losses in the afternoons could be higher if the combine is locked in for those tough-swath times of day. Checking for combine losses under various conditions will help you get a feel for best settings for various conditions. It will also help to interpret what combine loss monitors are really saying. 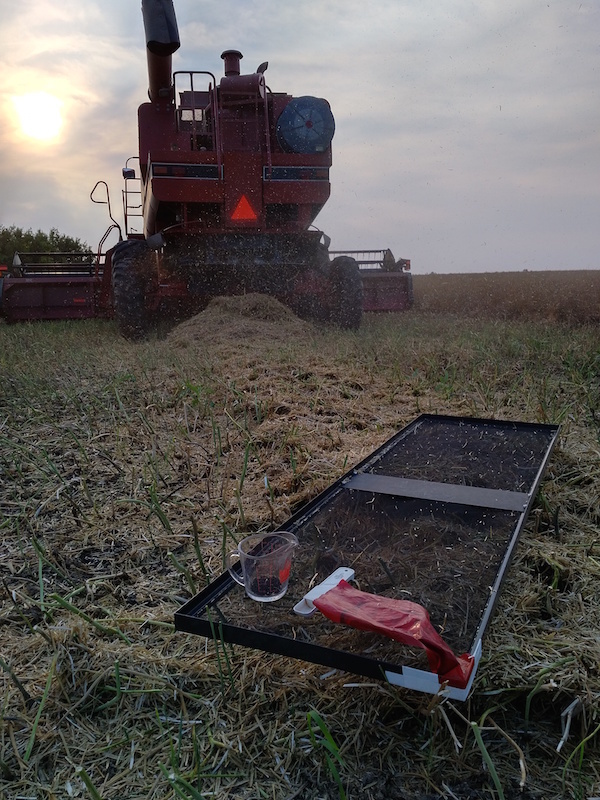 Checking for losses a few times a day for those first few days of harvest can provide a very good return on the time if it means reducing losses from 5 bu./ac. down to 1 bu./ac. Checking losses will help farmers find the right settings (concave, ground speed, rotor/cylinder speed, fan speed, sieves) for their combine under various harvest conditions. The CCC’s new Combine Optimization Tool can help you work through the settings to hit your goals. 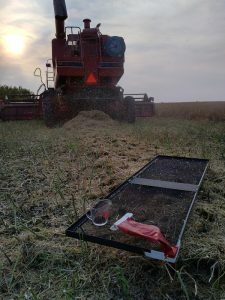 High horsepower combines can move through a canola field at high speed, but is that the right balance between productivity and leaving yield on the ground? Under what conditions can you take full advantage of that horsepower and when should you throttle back? You can only accurately answer that question by checking for losses as harvest conditions change throughout the day and throughout the harvest season. A Canola Watch reader asks through a Twitter poll what you think is an acceptable level of loss. See the poll results.